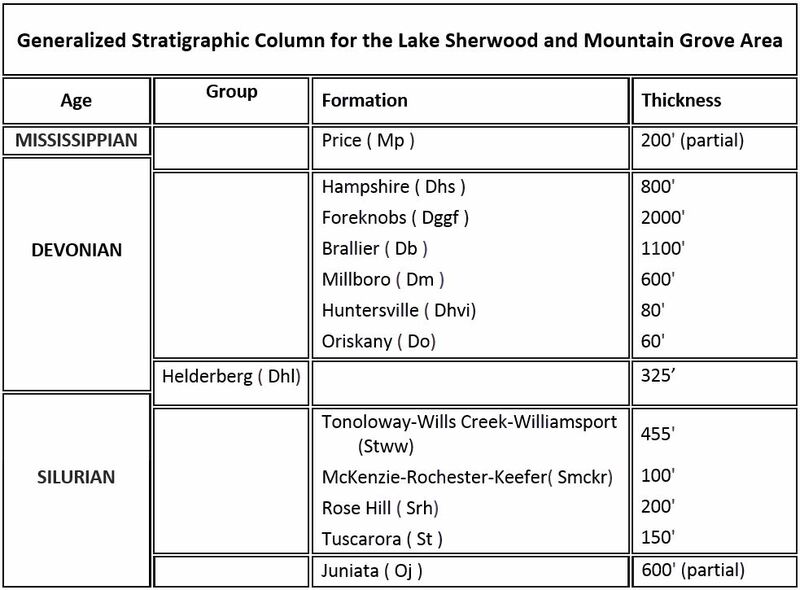 The West Virginia Geological and Economic Survey (WVGES) mapped the bedrock and collected rock samples for geochemical analysis on the Lake Sherwood and Mountain Grove, West Virginia-Virginia quadrangles (see location map) from June 2014 through May 2015. WVGES investigators Paula Hunt, Ronald McDowell, Jeanne Sutton, and Phil Dinterman were assisted by Mary Sue Burns (Pocahontas High School, Dunmore, WV) during the field season. 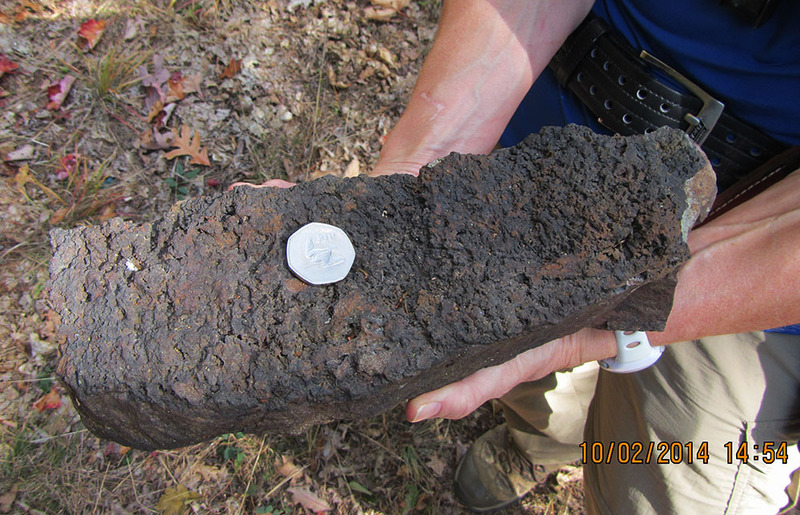 Funding for Ms. Burns' salary and field expenses was provided by the West Virginia Geological and Economic Survey and the United States Geological Survey (USGS). 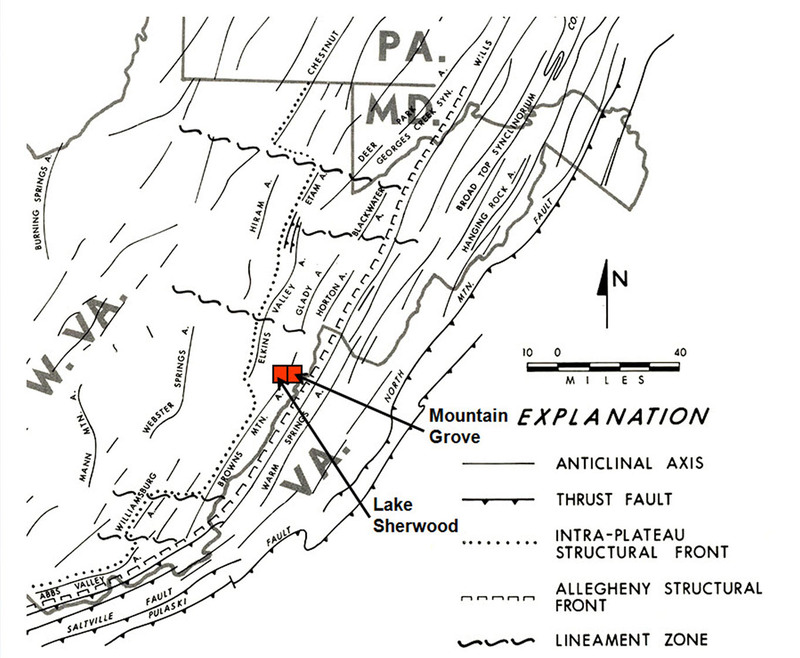 The map area is a continuation of bedrock mapping from north to south along the strike of the Brown's Mountain Anticlinorium, which lies between the Allegheny Front to the east and the Appalachian Plateau to the west (see physiographic province map below). 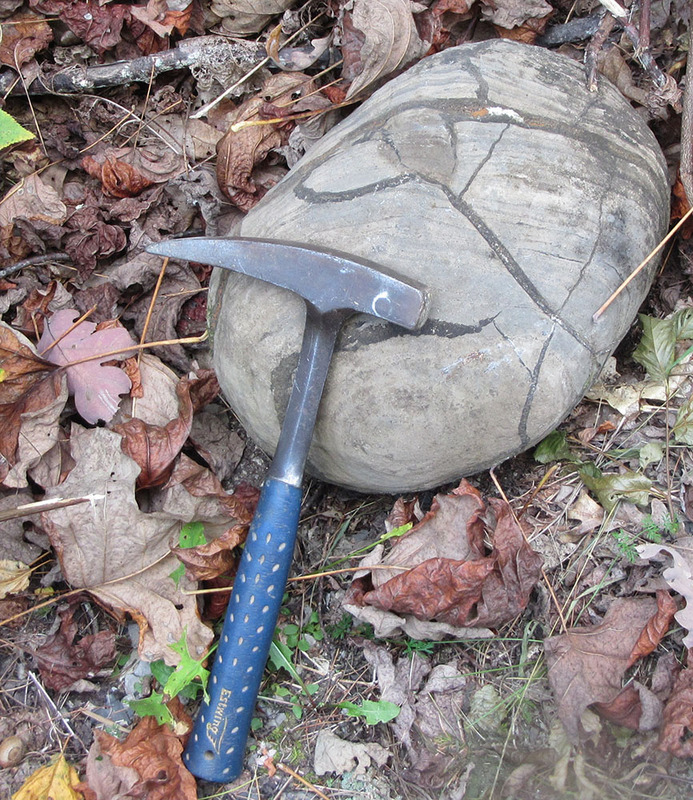 As a result, the area exhibits a mixture of moderate to very complex deformation. 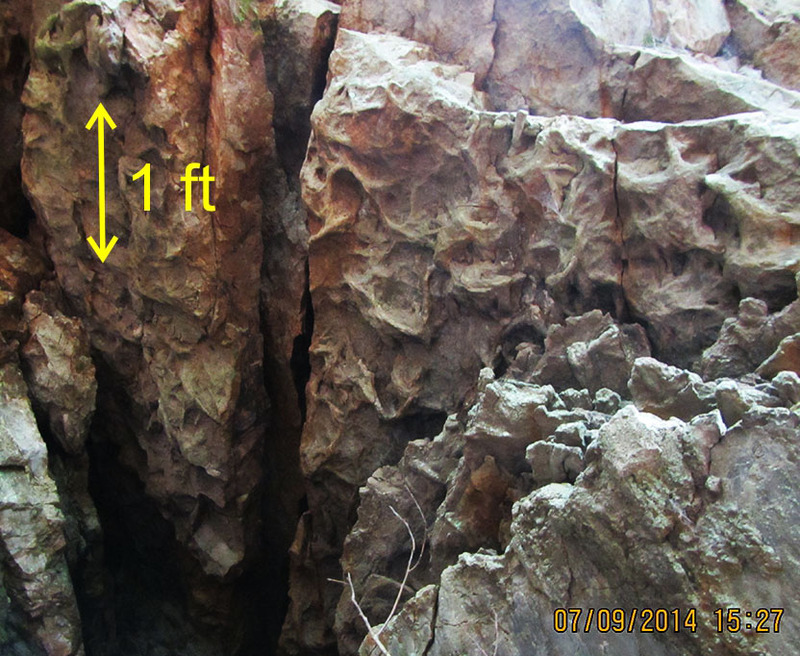 This deformation takes the form of folding and faulting and is most notable in the western portion of the Lake Sherwood Quadrangle. 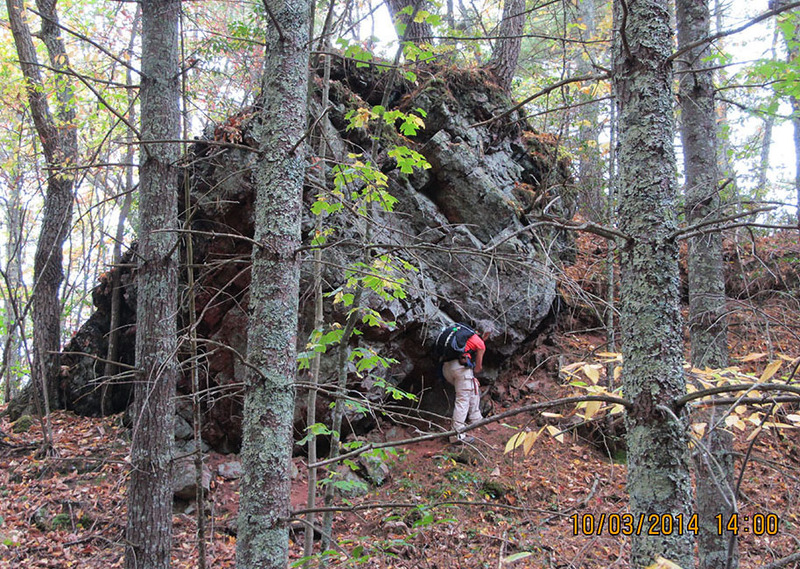 Strikes, fold axes, and fault traces generally trend northeast-southwest. 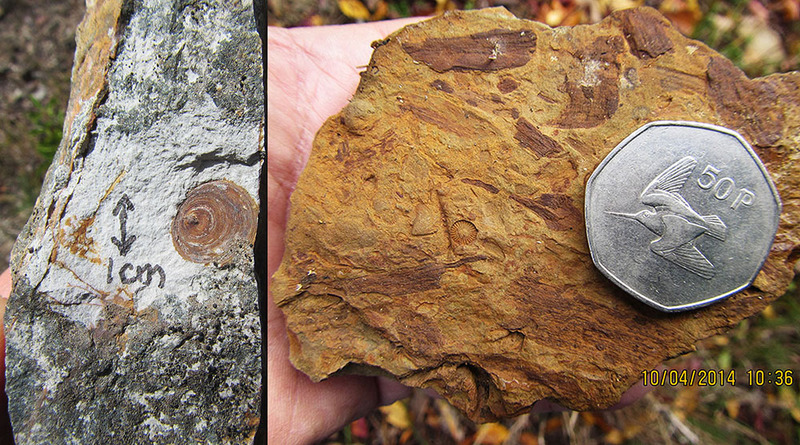 Intense folding in the western portion of the study area associated with the Brown's Mountain Anticline was probably initiated by thrust faulting deeply "rooted" in Silurian or Ordovician shales present in the subsurface. Deformation propagates readily through overlying units resulting in west-vergent compressional folding of strata in the area. 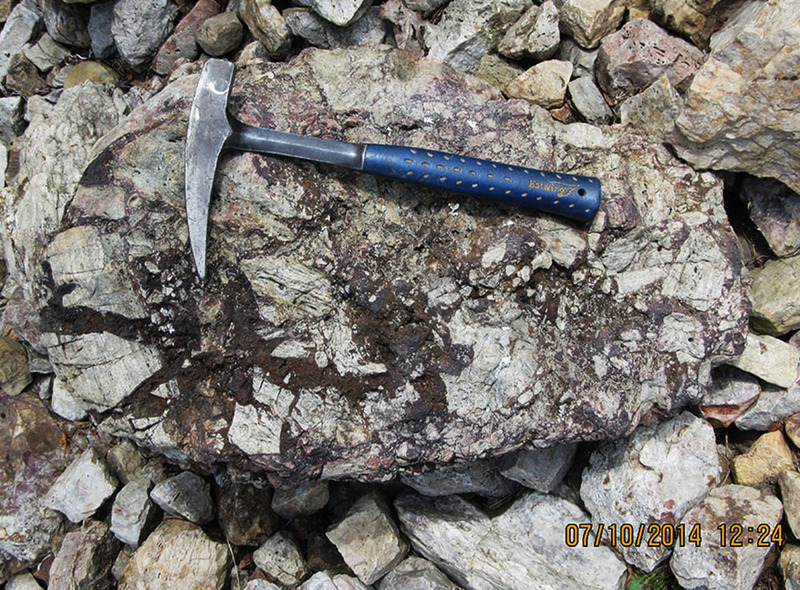 Small-scale features and mineralization provide some of the most notable and photogenic evidence of this deformation in the map area. Location of the map area in red with previous STATEMAP project locations in gray (click to enlarge). 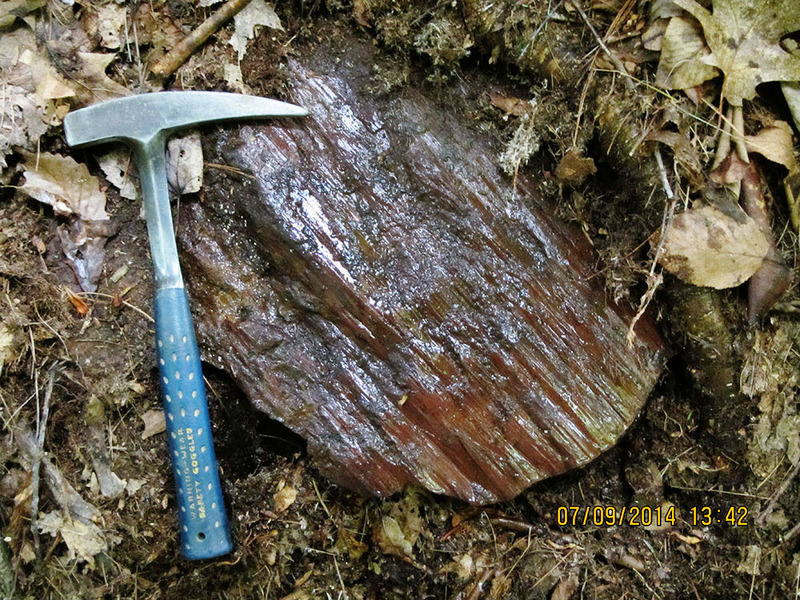 In the project area, brecciated, brittle rock units like the Silurian Tuscarora and Devonian Oriskany Sandstone were frequently observed to be mineralized with iron and manganese oxides and hydroxides. In the 1800s, several mineralized exposures of Oriskany were mined for iron ore (Grimsley, 1909). 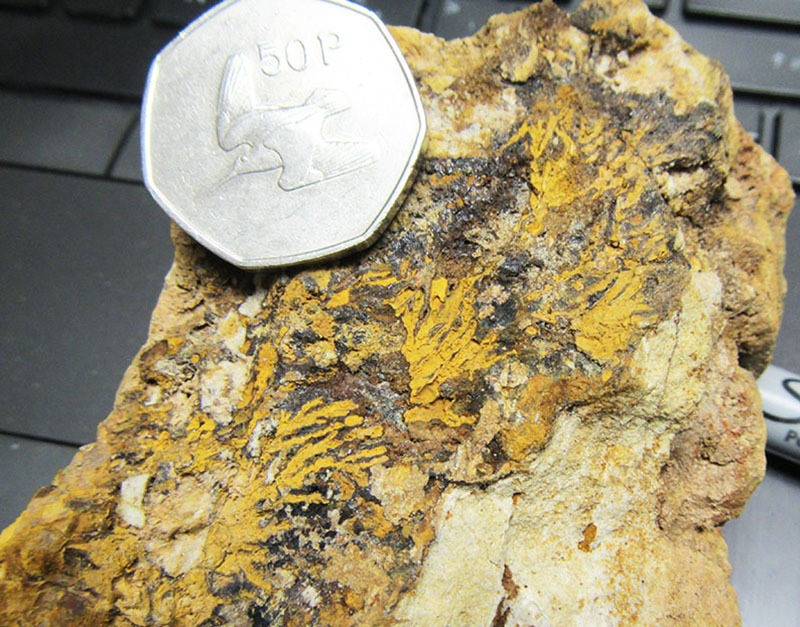 The authors located (with difficulty) two of those former mining prospects and collected samples for geochemical analysis. 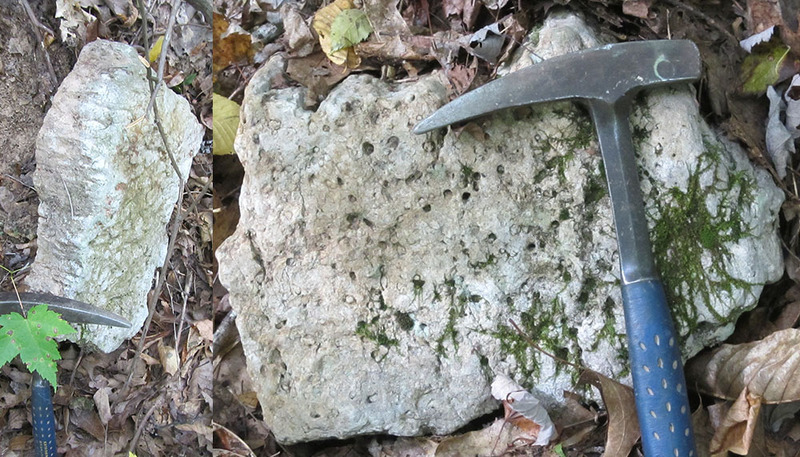 In previous years, the Silurian Tonoloway, Wills Creek, and Williamsport formations have been observed as distinct mapping units, and, further north along the West Virginia/Virginia border, the Silurian McKenzie and Keefer formations are differentiable. 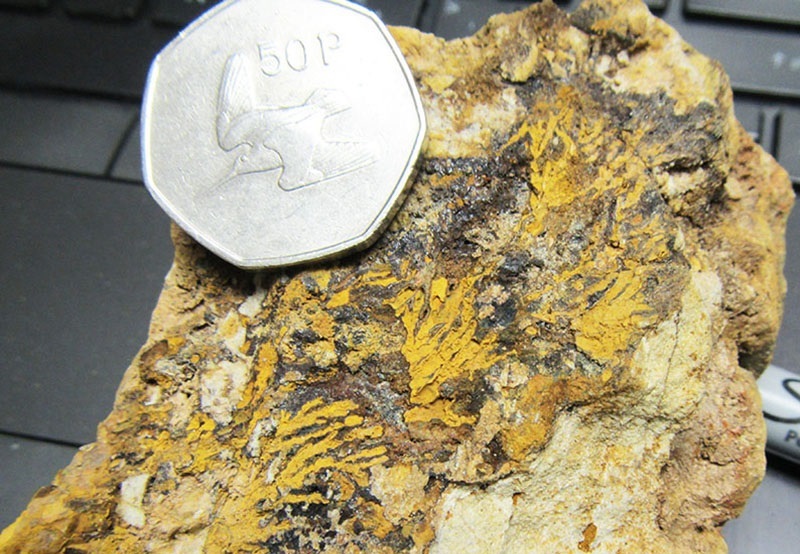 However, heavy vegetation and soil cover and limited exposure hamper the delineation of all formation contacts except for the most resistant units. For the current mapping project, the Tonoloway, Wills Creek, and Williamsport were mapped as a single unit; the McKenzie and Keefer were also treated as a single unit. 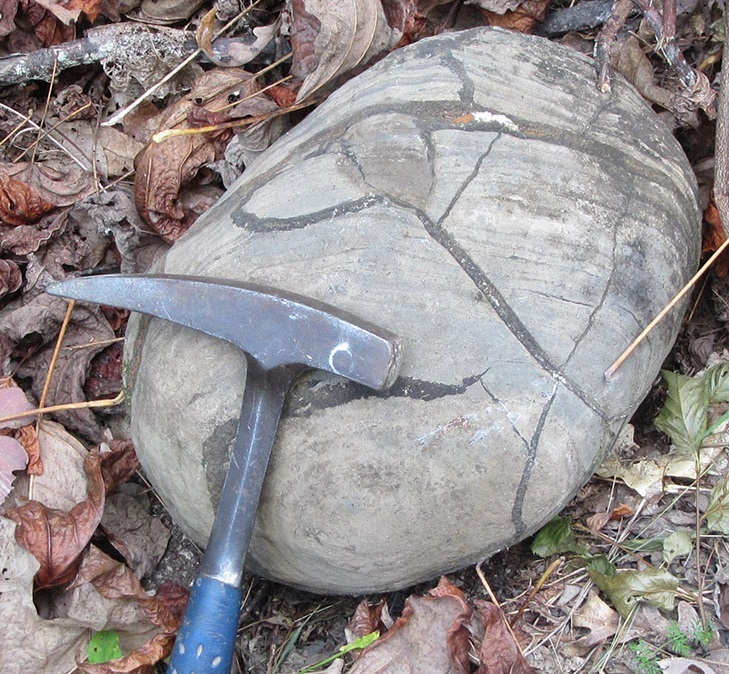 The Tuscarora Sandstone in the map area is the most consistently recognizable Silurian unit. 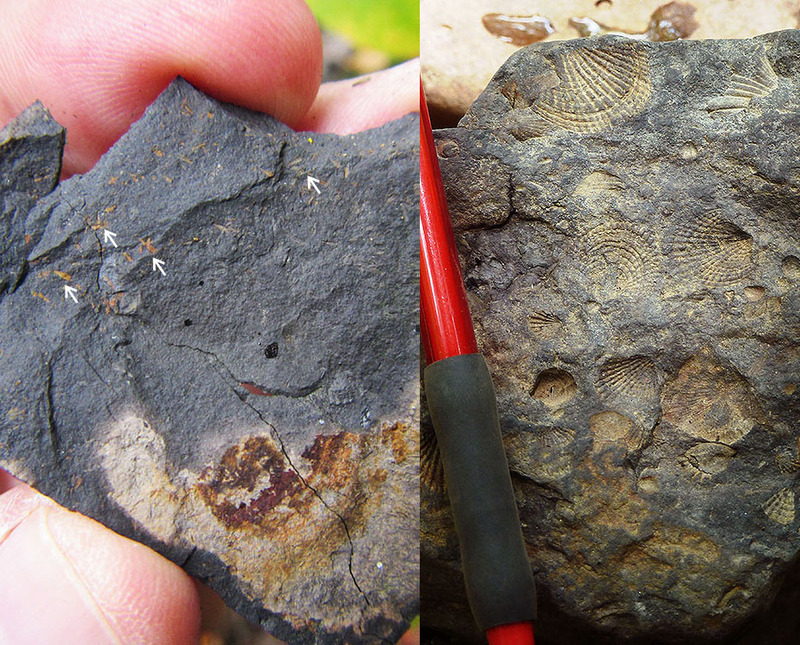 Not notable for the presence of body fossils, the Tuscarora did yield identifiable trace fossils at several localities, as shown in the photos. 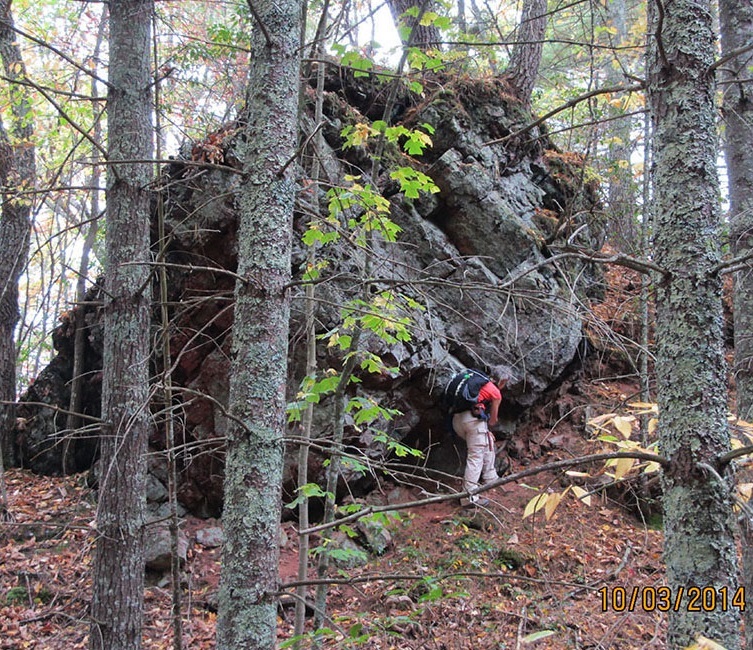 A total of 17 bedrock samples were collected for geochemical analysis during the field season. 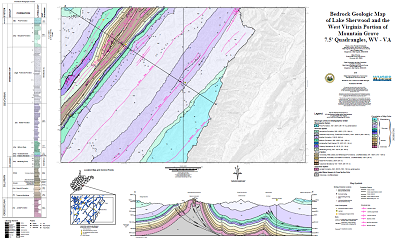 These analytical results have been combined with results from past year's STATEMAP projects in a geochemical database available to the general public as West Virginia Geological Survey Report of Investigations RI-34 (McDowell, 2001). Concurrent with this year's STATEMAP project, the geochemical database has been brought up to date and summary statistics fully revised. A GIS-compatible version of the database is currently available. Grimsley, G., 1909, Iron Ores, Salt, and Sandstones, Volume 4: West Virginia Geological and Economic Survey, 603 p. More publication information is here. Kulander, B. and Dean, S., 1978, Gravity, Magnetics, and Structure: Allegheny Plateau/Western Valley and Ridge in West Virginia and Adjacent States: West Virginia Geological and Economic Survey Report of Investigations RI-27, 91 p. More publication information is here. 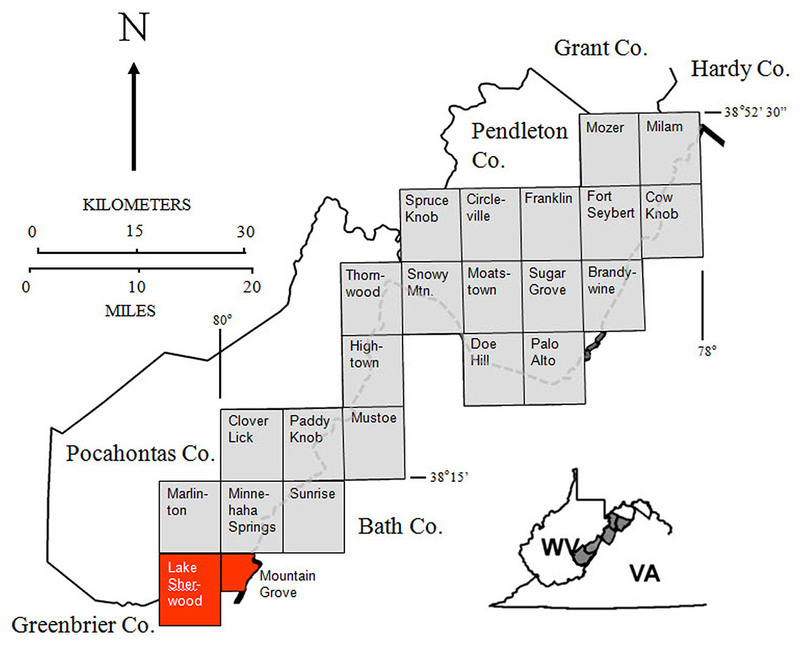 McDowell, R., compiler, 2001, Stratigraphic Geochemical Database for Portions of Pendleton, County, West Virginia and Adjacent Virginia Counties, covering portions of Pendleton Co., WV, Highland Co. VA, and Augusta Co., VA: West Virginia Geological and Economic Survey, Report of Investigations RI-34, data file. More publication information is here. Page last revised January 2018.